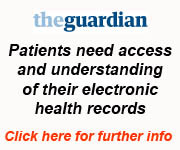 Tradiitonally patients could do this by going online via a computer or laptop. However in recent years apps have now been developed for Apple iOS and Google Android devices which means you can literally access your records from anywhere if you like where you can access the internet from using a device that literally fits in your pocket! 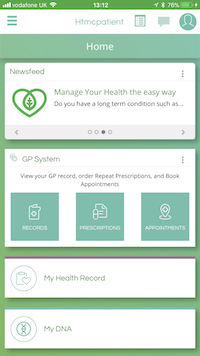 Both suppliers offer similar services allowing you to log in to your electronic health record to access the online services using any computer or laptop as well as offering apps for your smartphone or tablet too. The functionality is the same although it can be easier to do somethings on a computer (eg reading letters) whilst the ease of access to view your records when you are out and about means a smartphone is more usefui in everyday use. Imagine being able to see what your doctor or nurse has done for you so that you no longer need to try to remember everything but can read the information about you. Imagine being able to just go online right now, whereever you are and order your repeat prescriptions or send a secure message to the surgery knowing staff will be able to pick it up and act on it when the surgery opens! 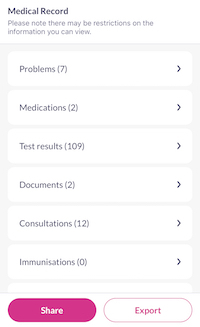 Or imagine going on holiday and if you fall ill, being able to log into your records and show what your GP can see even though you may be on the opposite side of the planet. Our staff have been trained to provide support including helping you to register online for the services. If you still have any problems then please send an email to htmcpatient@nhs.net and we will get back in touch with you. Age is no barrier with patients from newly born through to our oldest patient aged over 101 years old who have access to their electronic health records. Similarly intellectual ability is not a barrier either - currently 45% of all our patients with Learning disability have access. Also ethnicity is not a barrier either with 69% of all our Bangladeshi patients having signed up. So is true for people with mental health problems and a whole host of other problems too. The only barrier seems to be being offered the service and also people's own willingness to learn and give it a go. You can get further help by asking your family, friends, going to the library or other self-help organisation. The Haughton Green Centre and Hyde Community Action both have computers and can help you to get online and register too. We also have a very active Patient Participation Group and member would be only too happy to help too. We have now install free wifi for all our patients. You can access the internet for free whilst in the waiting room. 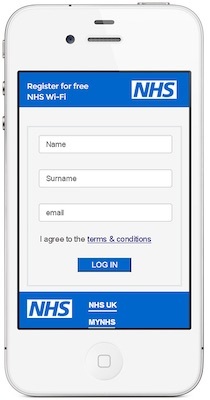 Simply search for NHSwifi, register for a free account and then you can go online. You can use the other resources on this website to help gain a better understanding of your healthcare needs by getting a better health literacy. You can help others by informing others using social media - follow us on twitter and facebook! In the future we hope to bring a variety of other online services to complement what we are already offering. This is a very exciting time to use online services at a time when the NHS is under unprecedented pressure. Your help will also greatly help us amd the NHS to continue to deliver high quality, safe services for all.